Join us for the last Planet Positive for 2017! Enjoy some good food, drinks and door prizes. 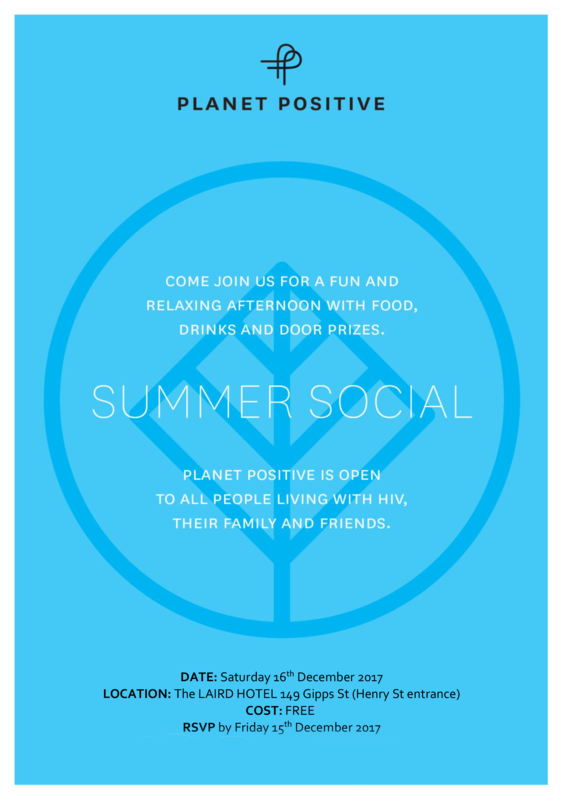 The afternoon is open to all those living with HIV, their partners, friends and family members. This Planet Positive is proudly sponsored by The Laird.